A fully equipped commercially licensed rental kitchen available for rent by the hour. Their sole purpose is to help farm and food businesses thrive. CommonWealth Kitchen is a collaborative community, providing shared kitchens combined with business assistance to help aspiring entrepreneurs build great food companies, create jobs, improve healthy food access, and strengthen our regional food economy. 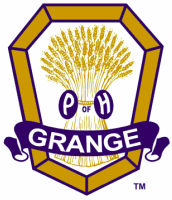 The Grange Kitchen is operated within the existing Dartmouth Grange organizational structure. Opened in 2007, this 2,000 square foot addition to the Dartmouth Grange’s historic Patron’s Hall, provides a certified workspace for food preparation, production, and storage for light small-scale food production and food service operations. It is a great space for entrepreneurs, artisan food producers, farmers market vendors, caterers, growers, cooking classes, taste testings, etc. They are passionate about entrepreneurship! Foundation strives to provide a space that is inspiring and motivating to small owner-operators and start-ups, offering networking opportunities between members and within the local community. They are also equally passionate about food and human connection, and they work hard to provide unique options for hosting classes, events, and pop-ups. Foundation opened in Nov 2015. They currently have two shared commercial kitchens in operation, at 121 & 3 Washington Street, in Somerville, MA, located between Union Square and Sullivan Square. This makes their kitchens uniquely positioned to be close to Charlestown, Boston, Cambridge, and all of the greater Boston Metro Area. DISCOUNT: Branchfood members receive a 10% discount on the base rent at Foundation Kitchen + storage for the 1st three months of membership. Note: any additional hours beyond the base (requirement of 10 per month) will be charged at the full rate. Email lauren@branchfood.com for more information or to redeem this discount. HBK Incubates is a shared commercial kitchen space and business support program for high-growth food enterprises, run by award-winning food business Hot Bread Kitchen. In the capital-intensive culinary industry, their incubator allows entrepreneurs to mitigate start-up risk and grow their food ventures in a community of business owners. KitchenCru is more than a community kitchen: it’s a 4800-square-foot culinary incubator. At KitchenCru their mission is to support culinary inspired entrepreneurs in developing, operating, and growing a successful business. They understand the exhilarating hardships that come with making any dream a reality and aim to overcome the obstacles of success by providing complete access to a fully equipped, licensed, commercial kitchen and private event space. They also provide support and business referrals to professional services, including accounting, legal, insurance, banking, graphic design, marketing and advertising. All the while, their space encourages collaboration and advancement in the Portland food and drink community. A food-focused multi-use space designed to foster community, extend hospitality and promote sustainability. They rent solar-powered, licensed commercial kitchen space, a camera-and-class-ready demo kitchen, and flexible dining and lounge space for pop-up culinary events. With these different yet interconnected spaces housed under one roof, Orange Door Kitchen is an authentic setting for makers, professionals and eaters. They are working to help grow a dynamic and thriving culinary community in West Acton! DISCOUNT: Orange Door Hospitality is willing to waive their $50 startup fee and offer a $50 credit to Branchfood members. Please contact Lauren at lauren@branchfood.com to redeem this discount! UTEC’s Community Kitchen is the largest rental commercial kitchen space in the Merrimack Valley area. They offer 5,000 square feet designed for up to three distinct production spaces, with multiple workstations and a wide array of processing, cooking, and packaging equipment. With flexible scheduling and competitive rental rates, this facility includes ample room to store, prepare, and finish a variety of food products. Answers to some of the most commonly asked questions about residential kitchen operations. Stock Pot Malden is a culinary incubator & commercial kitchen powering a diverse culinary community by investing in promising food entrepreneurs, who they believe can become major successes. The Western Mass Food Processing Center’s mission is to promote economic development through entrepreneurship, provide opportunities for sustaining local agriculture, and promote best practices for food producers.